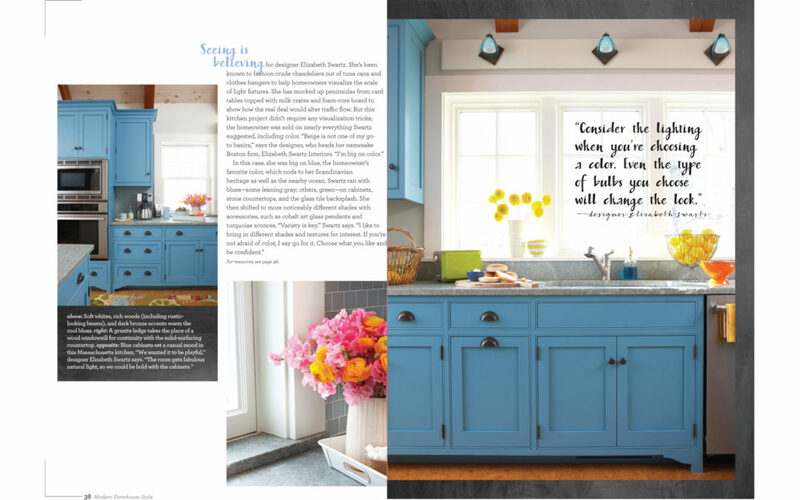 Boston interior designer, Elizabeth Swartz, ASID is featured in Modern farmhouse style™ magazine for the bold blue kitchen she designed for a Martha’s Vineyard cottage. 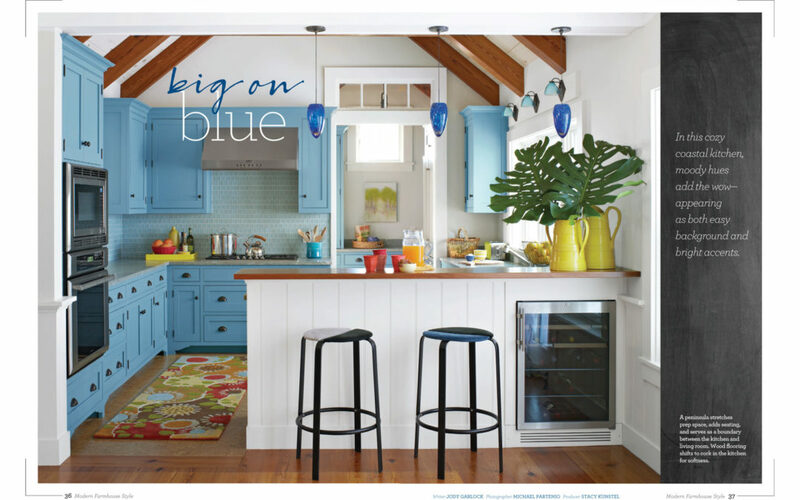 “Beige is not one of my go to basics,” Elizabeth states in the article Big on Blue, “I’m big on color.” Elizabeth explains how she created visual interest by choosing many shades of blue — from the soft ocean inspired tones of the glass tile backsplash to bold cobalt blue pendant lights above the kitchen peninsula. 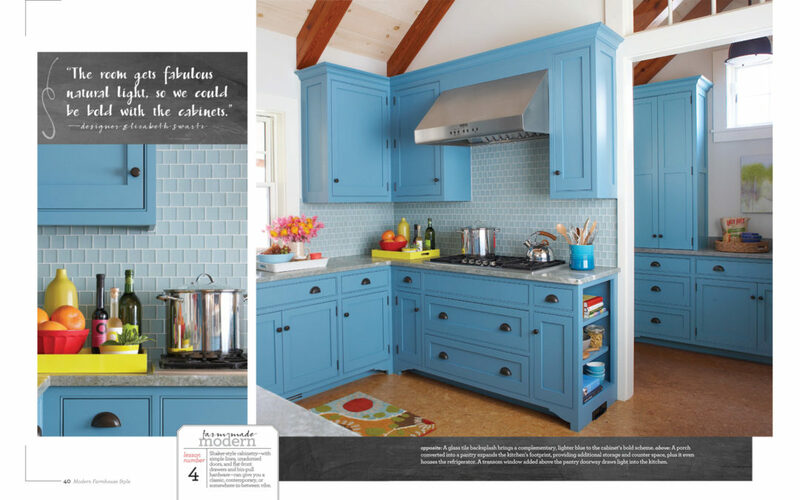 Shaker style cabinets, painted in a cool refreshing blue inspired by the homeowner’s Scandinavian heritage, are warmed by exposed wood beams, cork flooring and oil rubbed bronze hardware.